During the World of Warcraft Q&A panel, one question that caught my attention was about Worgen and Goblin models — specifically if they were being revamped. The answer is kind of a “yes, but” in that they are being worked on, but will not be live for patch 8.0. Battle for Azeroth will see a lot of other changes and design work so I’m not surprised that the Worgen and Goblin visual designs aren’t as high a priority. Honestly, they both look pretty good in comparison to the old Vanilla models — or are we calling that Classic now? — and even the Burning Crusade era Draenei and Blood Elves that got redesigns in Warlords of Draenor. Still, at present Worgen and Goblins are the oldest character models for playable races in the game, so it’s heartening to know they’ll get a redesign at some point. And while I’m absolutely on board for this redesign, one piece of news makes me more excited — the lady Worgen model will be receiving “more wolflike features” in said revamp. All I can do now is quote Tychus Findlay and say that it’s about time. 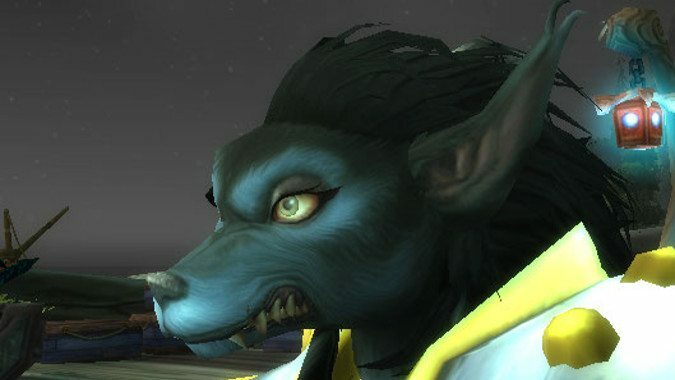 Worgen males aren’t bad — I feel like Blizzard needs to look at Genn and the ways they’ve changed his model and take some inspiration from that — but the strange snarl that’s permanently fixed on Worgen ladies definitely needs a look, and I’d overall be in favor for making both male and female Worgen bigger, beefier and less dimorphic. Wolves don’t look drastically different the way Worgen women and men do. As for Goblins, maybe it’s just me, but I don’t see much to complain about here. I mostly just hope that they get a few upgrades to bring them in line with other Horde races post revamp. They’re really both pretty solid and I can’t say I feel like they need a lot of work. Tweaks, sure, but nothing like lady Worgen, for an example. Either way we now know we won’t be getting it as soon as Battle for Azeroth drops.